While everyone imagines life as a Barbie to be effortless & breezy it’s in fact a pain in the… you know what. Depending on your natural hair color & which technique you decide to go lighter with, will judge how much maintenance you’ll endure. On the contrary, if you’re thinking of adding some blonde, but not making a complete transformation; ombre/ balayage is the way to go! 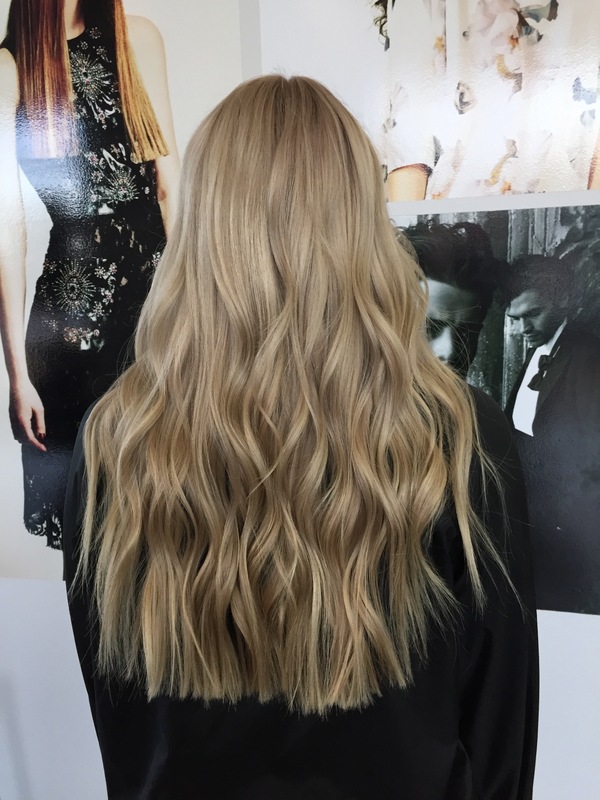 Both techniques are done off the scalp, leaving your base darker & melting into your desired color mid-length to ends, best of both worlds! You have two options when dealing with your base, you can change your base color to cover up gray/ make it a more rich brown or just leave it natural. For those younger clients, or clients with a super busy schedule I usually suggest leaving your base natural, this results in less salon visits for you! Going lighter almost always results in using a toner, even if you don’t need one, I always tone. Toning to me means personalizing your hair color formula, making it one of a kind & impossible to replicate. Toners are not permanent so they’re bound to fade, when they do, you can always make an appointment for a glaze to refresh the tone! & for those who haven’t read my post on Olaplex.. I would always recommend adding Olaplaex to your lightening service for the very best, healthy locks! Not only does blonde life consist of salon maintenance, you have to give it lots of love at home as well! No questions asked, if you’re blonde you have to have a purple shampoo. Purple cancels out warm tones in your hair, it helps keep your hair a bright beautiful blonde, even after your toner has faded away. My favorite purple shampoo is Violights, by Framesi. I always urge my clients to stay away from hot water, to keep the color locked in, use warm water & splash with cold to close the cuticle of your hair before getting out of the shower. Since your hair is a little sensitive after being lightened I recommend a leave-in conditioner & a conditioning mask to help your hair stay strong & protect it from damage! Leave- in has countless uses, it’s my go to product, it’s everything I need in one bottle & perfect for every client. My favorite leave- in is Miracle Leave- In by Its a 10. Masks are the best medicine for processed hair, they can be reviving to dry, brittle hair. My fav mask is Miracle Hair Mask by It’s a 10 or Restorative Hair Mask by Moroccan Oil. Previous Reality of Fantasy Colored Hair. I enjoyed reading your thoughts and experience, v helpful.